Remember when video games were seen as unhealthy and bad? That it only promoted violence in young children? It wasn't too long ago that I had to explain to others that just because I played a Mario game that didn't mean that I had the desire to stomp on a turtle. And you have to wonder... if people saw the state and prestige that video-games have today... would they have thought the same way? Ever since I learned how to hold a controller, video games have defined my life, in a way that the impact it has had I still can’t fathom to this day. And the impact has been positive, which may surprise some people. My parents had put limitations of course, to make sure I didn’t just sit in front of my television playing Super Mario World and Super Metroid all day (two games from my youth that I still revisit and play every now and then. Timeless classics, for sure). My two older brothers and I would be allowed to play only on the weekends, and only before dinner time. This would cause me to always try and wake up as early as possible so that I could get the most playtime, which caused a lot of tantrums due to being overly tired, not getting much sleep. But never did my parents stop me from growing this passion, one that has empowered me to be who I am today, both as a person and even a worker. When I was ten, I was introduced by my brothers to a game called Defense of the Ancients ( or DoTA for short ), which is a very complex game with lots of different mechanics and aspects to the game that makes it extremely hard to learn, much less play at an adequate level. I was awful at the game, not going to lie: always complaining that things were too good or unfair, unbeknownst to me that I was just really really bad. But I still found the game interesting. It was a cool concept, and not only that, but it was my first experience to Online Multiplayer: Where myself and four other random people around the world would go up against five other random people around the world to play a game. It was very new and surreal to me, having only played local games until that point. And of course I was oblivious to the fact that people were actually playing DoTA and other games in a competitive, tournament setting. Games like Super Smash Brothers, Street Fighter, and yes, DoTA. People would move around the world to play these games, from continent to continent, from home to away from home. Now that I look at it, the fact that this was a thing even a decade ago still surprises me to no end. I remember especially in school that I was an odd kid out because I played video games so much. I always talked about them, and how much fun I was having. Most kids thought I was spending too much time on my game, and some even shunned me for my passion. But I never let it bring me down or deviate me from what I really wanted. But to keep going with my point, it really surprised me when I learned that Esports was something that was possible: You could make a living out of playing your favorite video game. Now these days I don’t have this delusion or desire to really do this with my life, but back then, around the age of fourteen, I got so pumped when I learned that DoTA was getting a remake of sorts, the critically acclaimed Dota 2. This was essentially an updated version of DoTA in terms of graphics, game engine, and design. The gameplay was the same, but everything else was fresh, new, and the first tournament to promote the game had the biggest prizepool in the history of Esports: Winner takes One Million dollars. Yes, you heard me right. One million dollars. As soon as I got a Beta Key for the game ( which allows you to play a game when it’s still in early access and development ) I started to play Dota 2 nearly everyday, for as long as I could keep my eyes open. I was awful at first, but I had a bit of an edge over certain other players. I had played the original DoTA long enough to know what every playable character was, what they did, what their role, strength and weaknesses were in a given match. And with that, my journey to try and get into the Dota 2 pro-scene started. I played and played, and was so passionate that I did see a shift in my personality, one that made me more competitive in not only Dota 2, but with my school and with my brothers, who also played Dota 2. But one thing led to another: they had less time to play due to work and more intense school work. I had it easy, I could play without worrying too much about my education or anything of the sort. I remember that summer was pretty much Dota 2 every day, from beginning to end. And by playing the game so much, I learned a lot, and got far better at the game than I ever imagined that I could. And though I have tried to get into the competitive scene and have gotten a bit of success in it, I have learned to this day that I don’t have the mental fortitude and stamina to play Dota 2 in that way. Playing the game normally and online, against playing it with a dedicated team or people who are trying super hard to win is very difficult. It’s just like sports: everyone is trying their hardest to win, because it’s their life, they need to win to succeed. And if they lose, they can get angry, frustrated, shift blame on others to try and make themselves feel better about the loss. This is the same in Esports, in any of them, even if they’re single player. With every passion comes dedication, and even though I don’t play Dota 2 in a desire to play competitively, watching the pro-scene gives me so much more excitement: excitement that I get from nowhere else, even playing the game itself. When I watch one of my favorite teams make a fantastic and coordinated play, or even just an individual player show amazing skill, I just get so ecstatic. I want to see more of what they’ve got to show, and that’s what it feels like to watch an Esport that you’re very invested in, or anything really, which includes real sports. Fans are going to be crazy and passionate sometimes, screaming for their team to win, yelling at them for losing, always judging the players on the field or on the ice ( or in Dota 2’s case, the battlefield ) and the decisions that they make. But why do I believe Esports is a very positive phenomenon in our current culture? Apart from how economically successful it is and giving tons of perhaps more introverted people a community of people very much like them a home where they are understood… why is it good? Because the people who are truly passionate about Esports make it as good as they can. 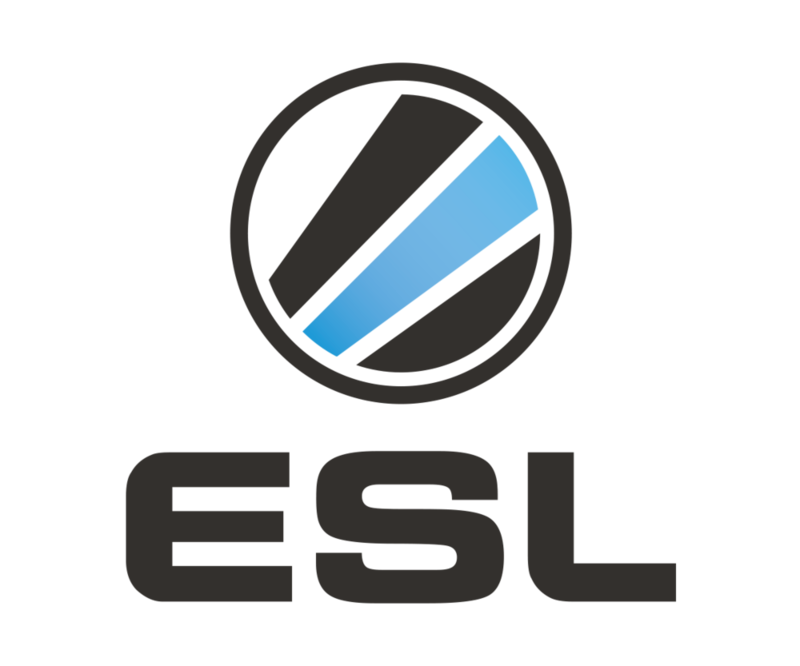 ESLGaming, being one of the most renowned Esports tournament organizers since the 2000’s have paved the way for the success of Esports, showing that anyone is welcome to play and spectate, no matter the game, the genre or anything of the sort. They have been very welcoming to everyone, new or veteran, to experience Esports in the same way. And having experienced my own slow and steady implementation into the scene, it warms my heart to know that people just like how I was back then are going to fit right in without having to worry about judgement or isolation. Esports is no longer just a word, or a job, or tournaments or players. It’s now a veritable community of passionate and wonderful people, the same with any community of people are. People with the same passion and interest band together to make the experience as amazing as it can be, allowing the people who don’t even think they have a spot in the whole ordeal feel where they belong and are appreciated. There’s nothing quite like talking about Esports for me, because it’s just so important to my life and to who I have become. Learning to play Dota 2 and looking at how people work together in these types of game has made me a better worker even in my day job, being a Supervisor at the Tim Hortons I work at. It’s given me leadership skills I never thought I had, communication and problem solving tools that I’ve adapted and fine-tuned to play Dota 2 better. Overall, my gaming and Esports passion has been nothing but positive for me, because I’ve invested so much time and energy into it. And to me, when that kind of dedication to a craft is so great that you become a better person because of it, then it doesn’t matter what other people may think, or who people may think you are. I can tell them for a fact: It was worth it, and I don’t regret it a single bit. When he’s not desperately trying to climb the Dota 2 MMR leaderboards, Francis can usually be seen playing on his Nintendo 3DS or Switch, or writing long and short fiction on his limited spare time. Oh, and he’s on Youtube 24/7.